For nearly half of her life, Claudette Monroy ’10 has endured the precarious existence of a hang glider, at the mercy of shifting winds to either soar in the United States or face deportation to her native Mexico. Monroy is a DREAMer, a beneficiary of the Deferred Action for Childhood Arrivals (DACA) program, with the courage to speak publicly about her status despite fear of repercussion or exposure to harsh anti-immigrant sentiment. Despite her unstable position, Monroy remains steadfast in her desire to assist immigrants in need. For her advocacy and accomplishments as an educator and immigrant rights advocate, she is EMU’s Outstanding Young Alumna/us. Monroy moved from Torreón in north central Mexico to Fairfax, Virginia, when she was 15 with her mother and little sister. The family entered on tourist visas. Her father had died five years earlier and the family was struggling to survive in Mexico. Monroy’s older sister took the two girls in. Eventually, she completed high school in Harrisonburg in 2006, excelling academically but feeling ashamed of her citizenship status. 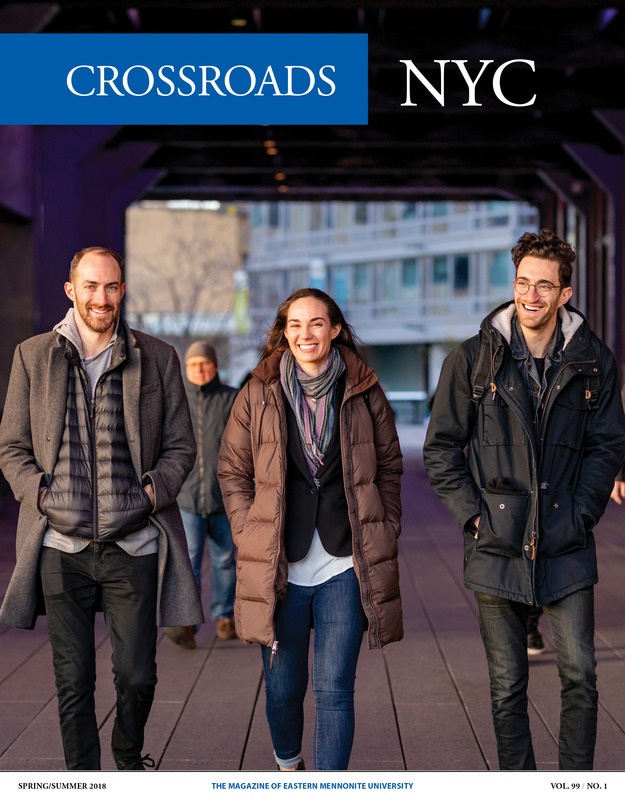 Sharing her story through Young Life put her in contact with Eldon Kurtz ’76, longtime physical plant director, now retired, and Jason Good ’05, then director of admissions, who encouraged her to apply for a scholarship for undocumented individuals. At EMU, “I integrated my faith in the Lord in other areas of my life,” she said, expressing gratitude to economics professors Chris Gingrich, Walt Surratt and Jim Leaman for challenging her academically and equipping her professionally. 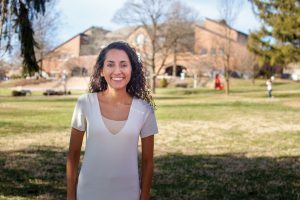 Her economics courses also opened her eyes to the “brokenness of the system” and inspired her to “engage with and be a steward of God’s blessings.” Monroy became socially and politically engaged with Harrisonburg’s poor immigrant communities. After graduation from EMU and holding an expired visa, Monroy hit her “lowest point.” Unable to move forward professionally, she earned money by babysitting, interpreting and cleaning houses. She applied and attained DACA status in spring 2013, which provided a work permit, Social Security card and driver’s license. That status granted immigration protection and authorization to work for two years, subject to renewal. She continued to share her life story, encouraged and supported by Isabel Castillo Ressler ’07, MA ’17, nationally recognized for her advocacy of undocumented immigrants. (EMU honored her with the 2013 Outstanding Young Alumna/us Award.) Eventually Monroy moved to Washington D.C. to work in child and adult education with a nonprofit organization focused on immigrant families. She also began graduate studies in international education at The George Washington University (she graduated in May). In February 2017, Monroy was profiled in a Washington Post front-page article titled “In Trump’s capital, undocumented immigrants live and work in the shadow of the White House.” She did not hide her name or likeness. Shortly thereafter, Congresswoman Eleanor Holmes Norton (D-DC) invited Monroy as her guest to the Joint Address to the Congress (known as the State of the Union address in all but the first year of a new president’s term). Since August 2017, Monroy has worked as operations manager of The District Church, a nondenominational “Christcentered, neighbor loving, justice-seeking community for transplants, natives and beyond,” according to its website. Monroy is creating a leadership skill development curriculum, with tracks for ministry and for entrepreneurs, and a six-week financial literacy program for low-income parents. She is also a founding member of a proposed charter school for low-income, limitedEnglish-proficient adult learners. Monroy’s DACA status expires in 2019. Recently, three federal judges blocked Trump’s attempt to rescind DACA, but in the current political climate, her future remains uncertain. In the meantime, she’ll continue efforts to help immigrants with less education and fewer options than she has.